When injections below room temperature are needed the OPTIC-Cooler is an option to do this. 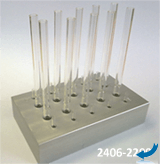 This block can hold up to 10 liners and micro vials for DMI sample preparation. With automated liner exchange, it is necessary to open the injector head before the liner is transferred from, or to the injector. When the injector- head is open, air and water can flow into the system. This can be harmful to the GC-column and MS. Therefore a back flush of the injector is necessary. To avoid practical problems, we developed a new tool, the T-joint, an practical solution for the use of back flush in GC. The only difference between normal installation and using the T-joint for back flush is that the column goes through the T-joint to the injector. The original flow path is exactly the same as normal without back-flush. After installation the back-flush is then introduced from the bottom of the injector. This channel can be used to upgrade your OPTIC-4. The auxiliary channel can be used for backflush. Easy to install yourself. 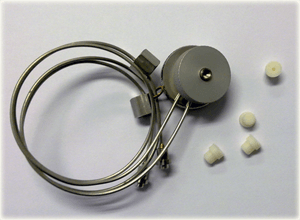 The Merlin Microseal is a long-life replacement for the standard septum used in Gas Chromatography. High pressure capability and resistance to wear make it the most unique septum on the market today. The Microseal fits standard in the OPTIC-4 inlet without modification. This top assembly is needed for PAL SPME-Arrow. The Arrow needle has a bigger O.D. and for this reason a different Top Boss Assembly is needed. Please take care, this Top Boss is for a standard inlet, not for LINEX. Also available is a special Arrow liner. The OPTIC inlet can also be used for on-column injections. 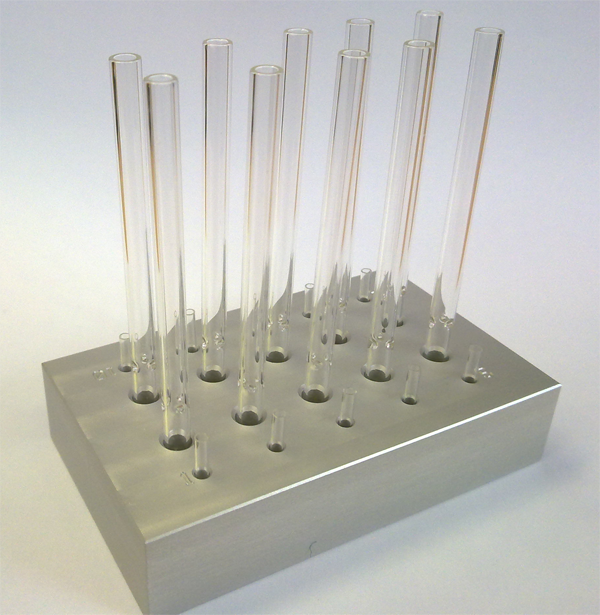 GL Sciences has designed a tool that enables true on-column injection using OPTIC inlet without an on-column liner. The on-column tool is very easy to install without any press fit connection. The syringe needle (gauge 26) goes really into the retention gap where the injection takes place. Deactivated F. S. Capillary Tube 10m 0.530I.D. x 0.660O.D. 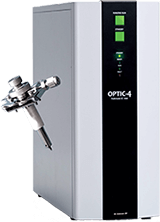 With the OPTIC Cooler it is now possible to cool the OPTIC inlet till 7°C with just dry Air or Nitrogen. This kit can be used when inlet cooling with LN2 is wanted. This kit can be used when inlet cooling with CO2 is wanted. 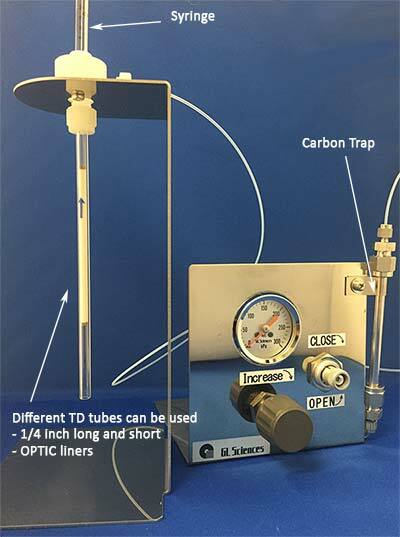 This Thermal Desorption Sample Loader tool can be used to load sample or standards onto a thermal desorption tube. It is compatible with standard OPTIC liners and 1/4 inch TD tubes with different lengths.